Valuable insights into the performance of commercially available personal shark deterrents have been revealed in Flinders University research. The project, led by funding from by the NSW Government's $16 million Shark Management Strategy Annual Competitive Grants program, led to a report by the Southern Shark Ecology Group (SSEG) and Global Ecology Laboratory at Flinders University that showed that the Ocean Guardian Freedom+ Surf device had the greatest effect on white shark behaviour among five deterrents tested. 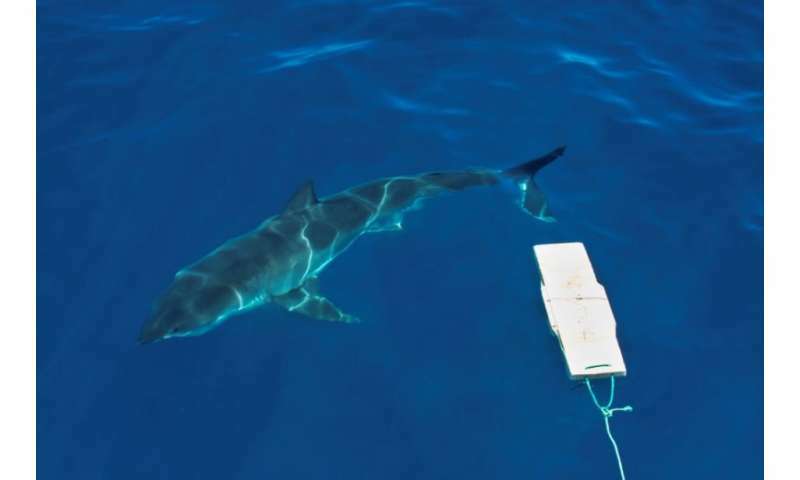 "The Freedom+ Surf is designed to deter sharks by overwhelming their electro-reception sensory organ," says Associate Professor Charlie Huveneers. "We recorded more than 1,400 interactions from 44 different white sharks to compare their reactions to the Freedom+ Surf device in controlled, open-ocean trials." 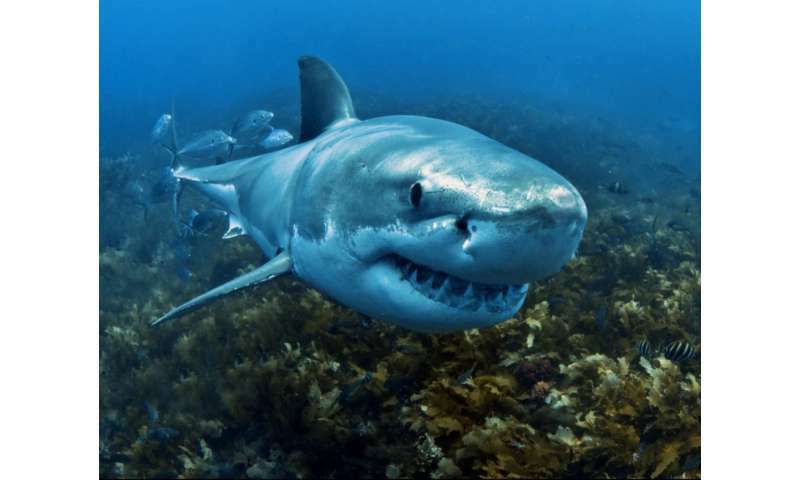 The scientists focused on white sharks because this species is responsible for most of the unprovoked bites leading to human fatalities in Australia. "We wanted to test how well the Freedom+ Surf, designed for surfers, could modify the behaviour of white sharks and reduce the chance of a bite," says marine ecologist Associate Professor Huveneers, who leads the SSEG at the College of Science and Engineering at Flinders. "We compared how many baits sharks took, the time they took to take them, the number of times sharks approached baits, and the distance they moved toward them. "We found that the Freedom+ Surf, which produces a strong electric pulse, affected shark behaviour and reduced the chance of a white shark taking the surfboard-mounted bait from 96 percent to 40 percent." Why has this tiny island seen a sharp rise in shark bites?